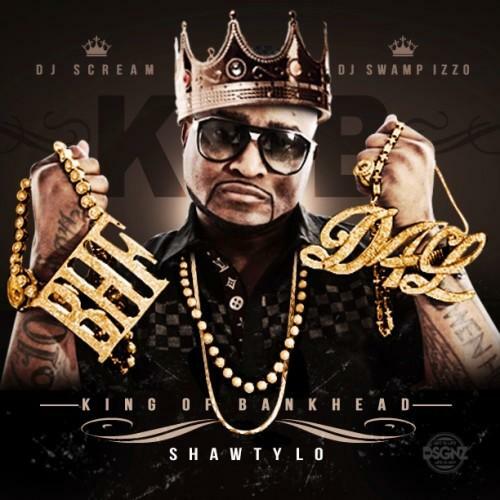 Today, ATL veteran Shawty Lo shares a new tape called King Of Bankhead. Referring to the name of a West Atlanta neighborhood (which is also referenced heavily in Shawty's breakout hit "Dey Know"), the tape is his first since 2013's I'm Da Man 4. Features on the project come from Young Thug (on the previously-released "Enemies"), Rick Ross, Boosie Badazz (both on "Exotic"), Rocko, Young Scooter, Stuntman, Rich Homie Quan, Plies and Chief Keef. Production is, unfortunately, uncredited at this time. Listen to and download King Of Bankhead below, and be sure to let us know your thoughts on the project in the comments.